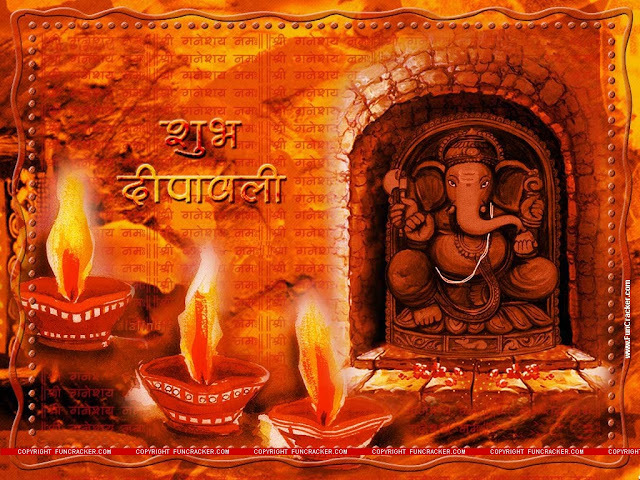 This Year Diwali is on Thursday, October 23, 2014. 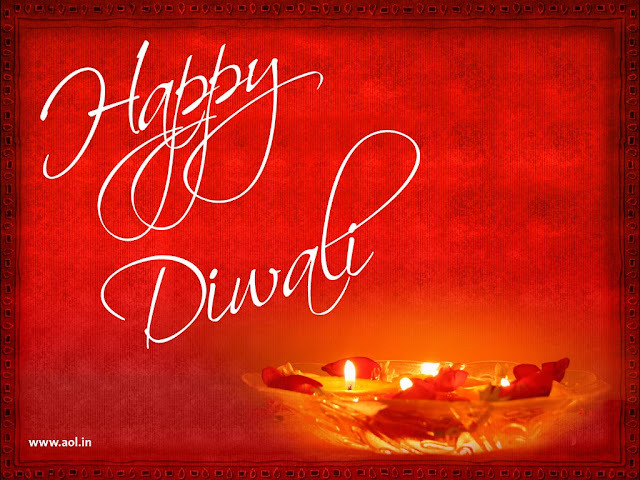 Diwali, Deepavali is popularly known as the Festival Of Lights, Fireworks, Sweets, Gifts. It is an important five-day festival in Hinduism, Sikhism and Jainism, celebrated between mid-October and mid-November. 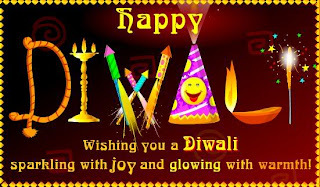 Diwali is an official holiday in India, Guyana, Trinidad & Tobago, Mauritius, Malaysia, Nepal, Singapore, Sri Lanka, Myanmar , Fiji and Surinam. 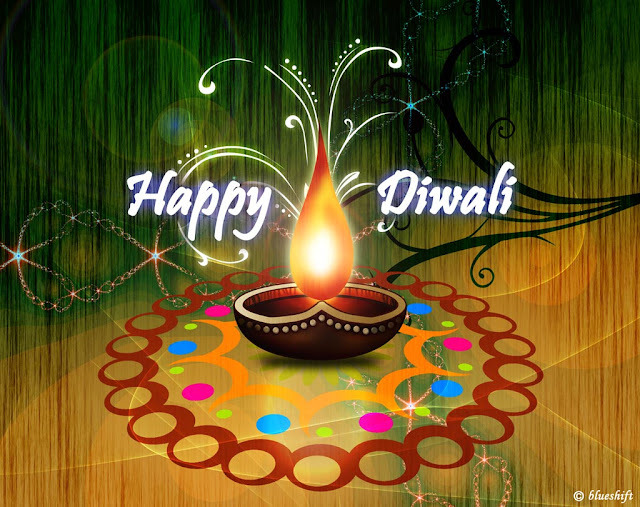 For five consecutive days every year, starting from a day when the moon decides to hide giving way to complete darkness, every Indian regardless of his/her caste, creed or religion celebrates a festival called ‘Diwali’ – a festival that glorifies the triumph of light over all that is darkness and of the good over all that is evil, and one which rekindles the flame of love and hope in one and all. This festival is also a manifestation to the fact that every ounce of darkness can be outweighed by something as weightless yet strong – willed as a ‘Diya’ (traditional Indian earthen lamps); one simply needs to muster the courage to stand and walk again. Diwali, the festival of lights, gets its name from ‘Deepawali’ – a row of lights, where ‘Deep’ stands for ‘light’ and ‘Awali’ stands for ‘a row’. 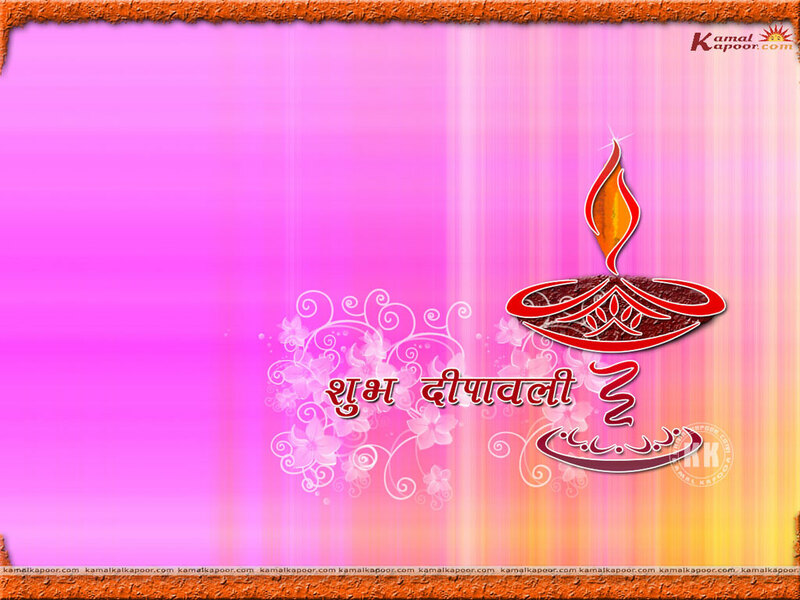 Indian households across the globe, on these five days, dwell in the dazzling luminosity of these earthen lamps, ‘Diya’. 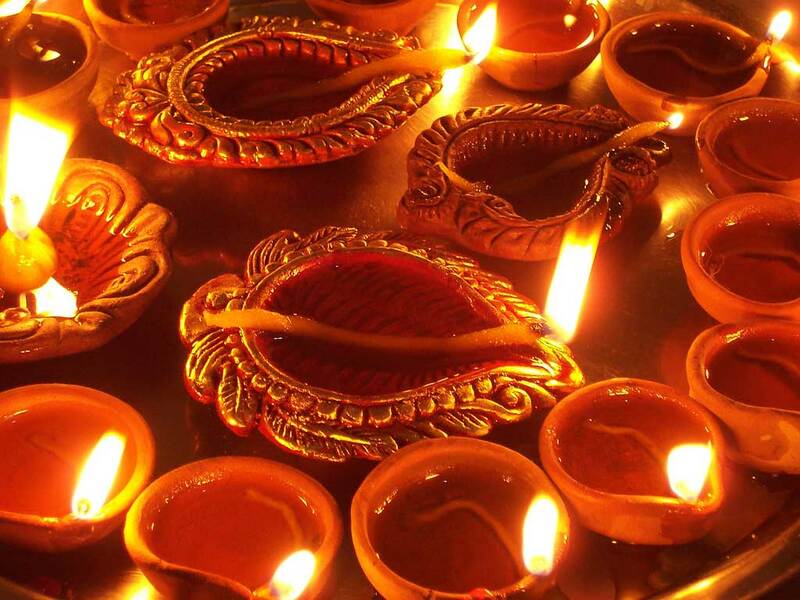 However, it’s not just Diyas that contribute in illuminating the nation during these Diwali days, but also fire crackers, which light up the sky unceasingly with a million sparkles. Their blaring sounds serving as messengers carrying joyous notes of gratitude from the rejoicing masses to the heavens for their generosity. There are several theories pointing to the origin of this festival with one stating that the festival is celebrated to mark the beginning of the post – monsoon harvesting season. However, the festival is most often than not associated with Rama’s return from his fourteen year long exile and the great demon king Ravana’s execution at the hands of the former. According to Hindu mythology, Kaikeyi, King Dashratha’s youngest wife and Bharat’s mother, stricken with jealousy tactfully forced her husband to exile her eldest son, Rama, whose blood mother was Kaushalya, for fourteen years on the eve of his son, Rama’s coronation ceremony. Rama, the embodiment of righteousness, an ideal son, husband and brother, acceded to his father’s helplessness and left Ayodhya with his wife, Sita, and younger brother, Lakshman. The trio donned a monk’s attire and journeyed southward on the banks of the river Godavari, where they built cottages and lived. During their stay in the forests, Rama and his brother, Lakshman, humbled a few menacing demons, who, in their bid to avenge Ravana’s sister’s humiliation at the hands of Lakshman, tried to kill them. The deaths of these demons consequently sparked an outrage against the brothers in the demon world to which Ravana, the mighty demon King, responded by abducting Sita with guile while she was alone in her cottage. Rama and his brother, Lakshman, after hearing the news plan an attack on the demon king by joining hands with a monkey King. Rama and his army of monkeys lay siege on Lanka, Ravana’s kingdom, and annihilate the powerful demon army and then go on to vanquish the mighty demon king, Ravana. Meanwhile, the trio completes their fourteen year exile and prepares to return to Ayodhya. On hearing the news, Bharat, Kaikeyi’s son and Rama’s younger brother, who as a respectful gesture to his elder brother, Rama, refuses to sit on the throne and instead places Rama’s footwear on it after the latter left for his exile, jumps in exultation and prepares the kingdom for a grand welcome. The people of Ayodhya too are elated on hearing the news and clean their houses and decorate them with flowers, garlands, candles and earthen lamps (Diya). On the day of Rama’s return, every corner of every street was cleaned, watered and painted with colorful designs called ‘Rangolis’. The entire kingdom erupted with joy on having their dear King, Rama, back. Narakasura, an invincible demon who ruled Pradyoshapuram, was obliterated by Krishna’s wife, Satyabhama, in order to rescue the people of Pradyoshapuram from the demon’s atrocities. The myth says Narakasura underwent a severe penance in an effort to seek blessings from Lord Brahma, who eventually acknowledged his devotee’s sincerity by granting him a powerful boon that he would only succumb to death at the hands of his mother, the earth goddess, Bhudevi. Krishna’s wife, Satyabhama, was a reincarnation of Bhudevi. Krishna knew of this and cleverly sought help from his wife, Satyabhama, in a battle that was to ensue between him and the demon, Narakasura. Satyabhama accompanied Krishna to the battleground as his charioteer. However, after Krishna fell unconscious on being hit by Narakasura’s arrow, Satyabhama took charge and effortlessly killed Narakasura with an arrow. After the battle, Krishna reminds her of her reincarnation and the boon she had sought as Bhudevi. This mythical story is not just a story about the unfathomable physical and mental prowess of gods and goddesses, but also one that conveys a simple yet powerful message, which says that every parent is under a moral obligation to punish his/her children should they tread a wrong path. And that the good of the society and not personal bonds should be placed on a higher pedestal. The myth also says that Bhudevi, Narakasura’s mother, announced that her son’s death should not be mourned, but celebrated. 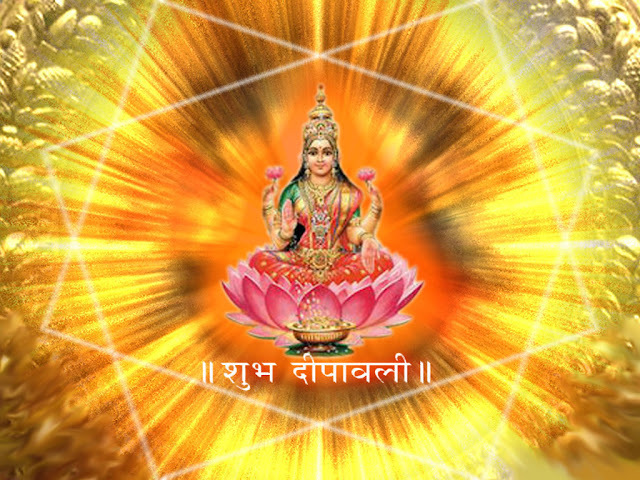 Lakshmi, the embodiment of sublime beauty, opulence and divine grace, is a Hindu goddess who rules health, wealth, spiritual, material and intellectual prosperity, and fertility. She came into being as a result of a conquest undertaken by the gods and demons for achieving immortality. Both the smaller gods and demons initially were mortal. In order to be immortal, they decided to consult Vishnu, who helped them churn the ocean of milk, Kshirsagar, for Amrit (the nectar of immorality). In this process, a number of divine celestial objects including Lakshmi surfaced. Amrit, however, was the last one to come up. But the gods could only consume the nectar of immortality if the demons were in some way distracted. Vishnu then took form of a beautiful maiden and distracted the demons helping the gods achieve immortality. 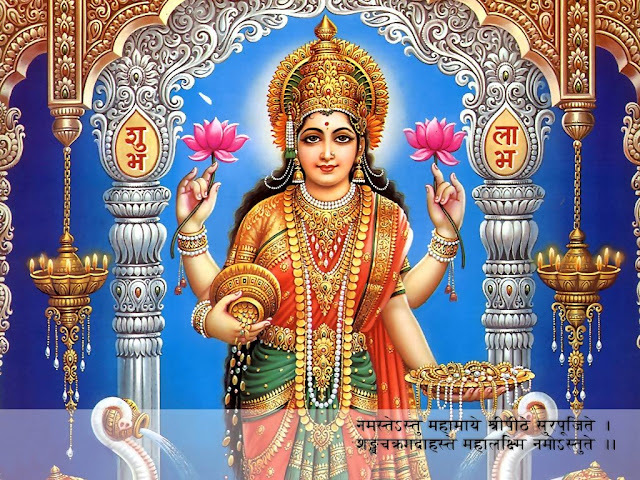 Ever since, Goddess Lakshmi has dwelled in the heavens and accompanies Lord Vishnu each time he descends on earth as a manifestation of himself in human or superhuman or animal form. Among the many Diwali legends, most of which are strong manifestations of unflinching Hindus beliefs, there is one legend that deviates from religion and moves into the realm of provable historical facts. This theory, which points to the festival’s origin, stems from India’s cultural, social and economic history. 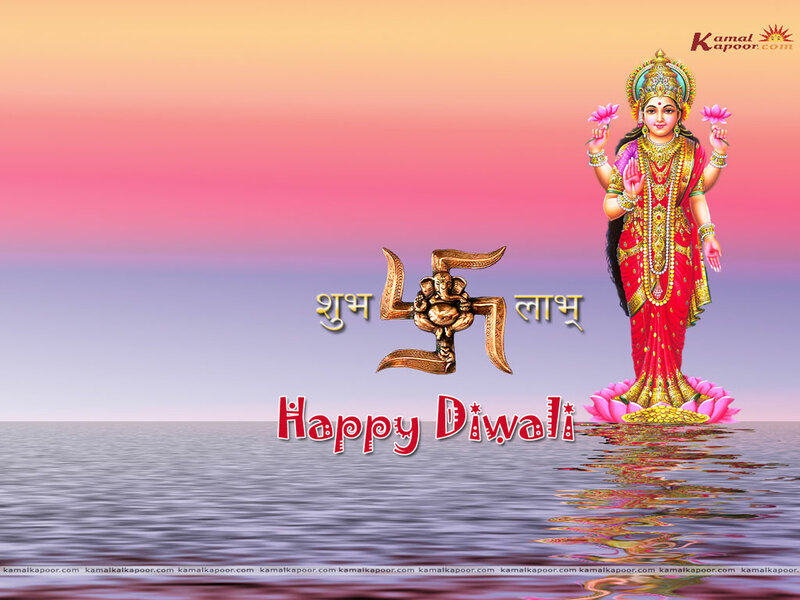 It states that Diwali is celebrated to mark the onset of the post–monsoon harvesting season. Speaking of which, the defining role of India’s agrarian society in carving her economic structure gets starkly highlighted. Owing to the heavy influence of agriculture on the Indian society, quite a few festivals celebrated in India find their roots in the land of farmers. However, there is an identifiable difference in the way different Indian societies celebrate these festivals. In rural India, the harvesting festivals are celebrated by observing traditional rituals that reciprocate God’s generosity in providing the farmers with a bountiful cropping season. Whereas, the urban masses celebrate these festivals by observing rituals that pay an obeisance to God for His generosity in showering wealth and prosperity on them. These festivals may not be celebrated in the same manner, but the fact that some typical traditions and customs associated with these harvesting festivals found their way to the modernized urban society goes to prove each Indian’s unyielding commitment to his cultural values. Dhanteras is the Thirteenth lunar day of the Krishna Paksh, the dark forthnight of Kartik month according to the Hindu calender. The day is also called Dhanvantari Triodasi or Dhan Theras. With the day of Dhanteras the Diwali celebrations begin. Word “Dhan” means wealth and “Teras” means the Thirteenth lunar day. 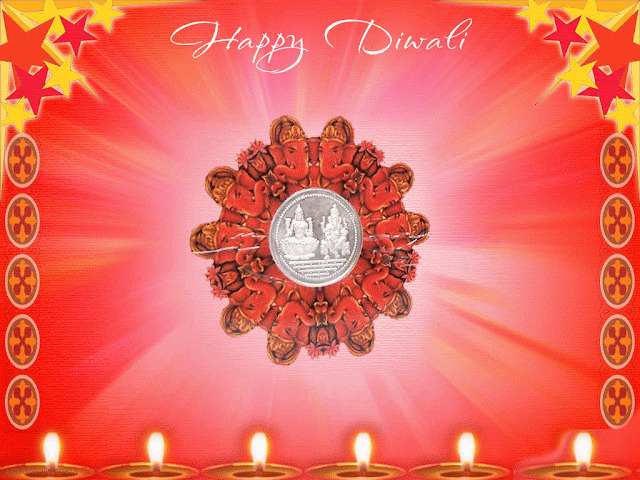 Dhan, wealth is worshiped of this special day. 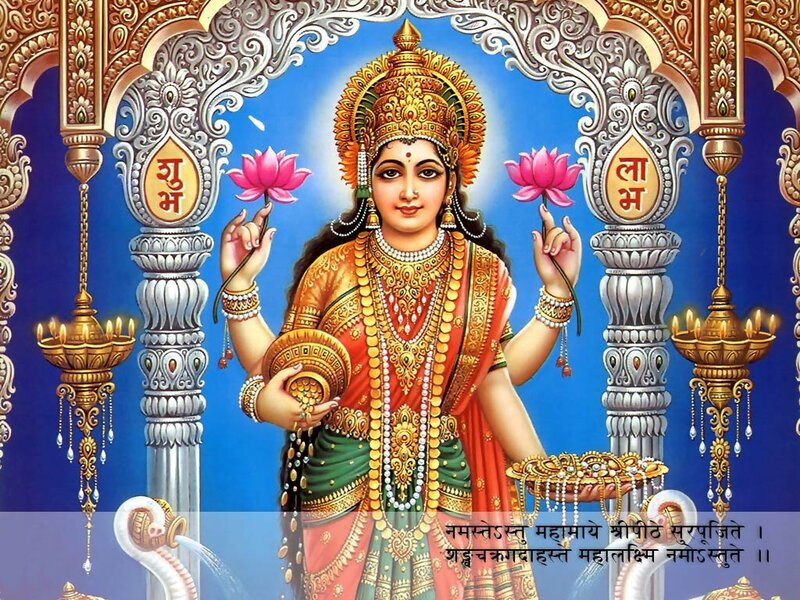 Goddess Lakshmi is the Goddess of wealth, light, beauty and prosperity; therefore, Indians worship her and seek her blessings for a prosperous new beginning. Footprints are drawn with rice flour and vermilion powder at the entrance of the house, to mark the awaited arrival of Goddess Lakshmi. Lamps are kept burning all through the night. As a form of good omen, people buy an ornament or a piece of precious metal on Dhanteras to bring a financial good Luck. Lord Dhanwantari emerged out of the ocean with Ayurvedic for mankind on this day. 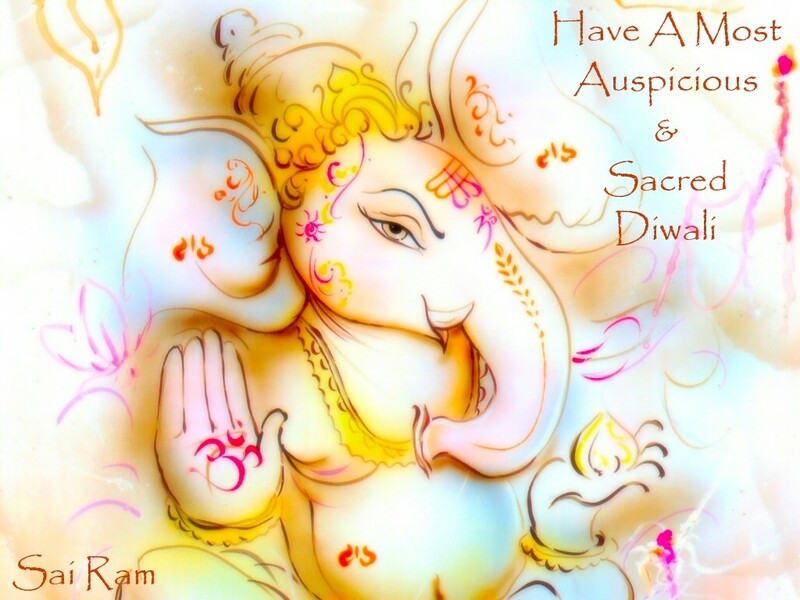 There is a legend accosiated with Dhanteras. A Sixteen year old son of king Hima was destined to die on the fourth night of his marriage. So to save him from untimely death, his wife heaped up lot of gold and silver ornaments and coin on her husband’s room entrance. Lighted so many diyas in the room and kept telling stories and singing songs all night. She kept her husband awake the entire night. Lord Yama came and set on the heap of gold, listening to the songs and left in the morning. This is how the king’s son was saved from death, by him wife. On this day, before sunset, people bathe and offer lighted diyas to Lord Yama, the Lord of death to protect themselves from untimely death. Chhoti Diwali is the second day of Diwali. Lord Krishna defeated the devil Narakasur on this day thus giving a sigh of relief to the people. With this belief this day carries a lot of importance for Indians. The demon king Narakasur after defeating Lord Indra, had snatched away the precious earrings of Aditi, the Mother Goddess (the ruler of Suraloka and a relative of Satyabhama, Lord Krishna\'s wife) and imprisoned sixteen thousand daughters of the gods and saints in his harem. Enraged with the hostile behavior of Narakasur, Satyabhama appeals Krishna to allow her to destroy Narakasur. On the other side, it was said that Narakasur was destined to be killed by a woman. Krishna granted Satyabhama a boon to fight against Narakasur. Satyabhama entered the battle field with Krishna as her charioteer and destroy Narakasur. Soon after that the imprisoned women were released, and Krishna accepted to marry them. As a symbol of that victory Lord Krishna smudged his forehead with the demon king\'s blood. Krishna returned home in the very early morning of the Narakachaturdashi day. Krishna got a scented oil message on his body by the womenfolk and took a bath to remove the filth of demon’s blood from his body. Since then to message the body with scented oil to get rid of tiredness and take bath early in morning has become a traditional practice on this day. Bhudevi, the mother of Narakasur declared that this day should not be for mourning but to rejoice the victory of good over evil. So the festival of Diwali is celebrated with lots of happiness and hopes. 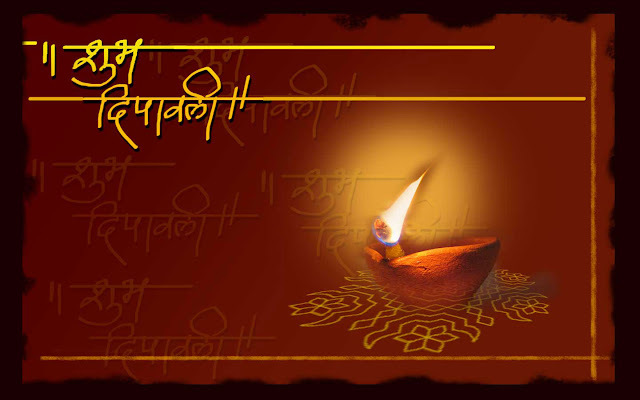 The Diwali day is the fifteenth lunar day of the dark forthnight of Hindu month Kartik. It is the heart and soul of the entire Diwali festival. It falls on the darkest day, the Amavasya. 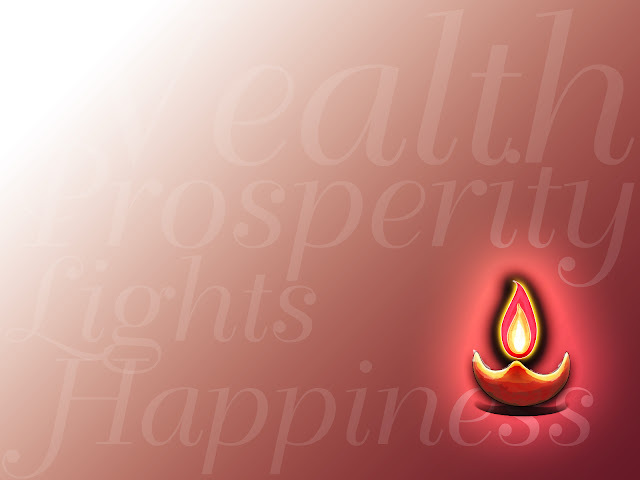 To wade away the darkness and welcome the new year on a bright path; innumerous diyas, lights and candles are lit. 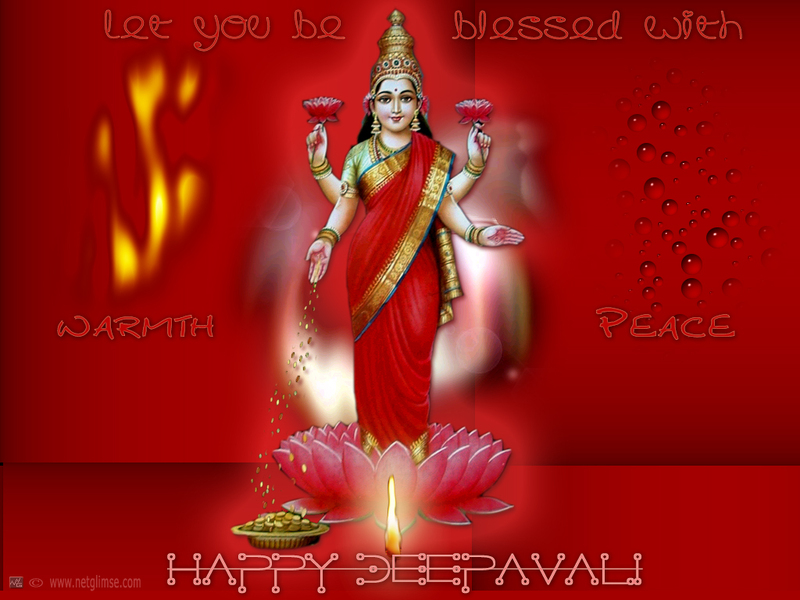 On this day women wake up early in the morning and make Rangoli on the threshold of the house. Also make small footprints of rice, vermillion and turmeric near the entrance of the house; depicting it to be Goddess Lakshmi’s footprints. People decorate the house beautifully and light lots of diyas in the evening. The families wait for Goddess Lakshmi to visit their house and bless them with wealth and prosperity. 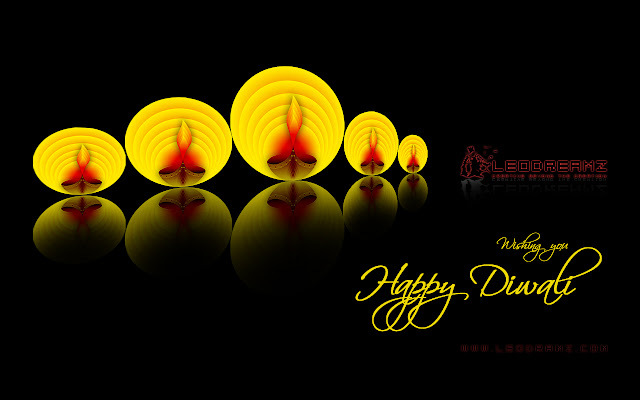 It is believed that on Diwali day Goddess Lakshmi descends on earth from heaven in her celestial being and visits all the homes and blesses them. She visits the cleanest, decorative and well lit house first. 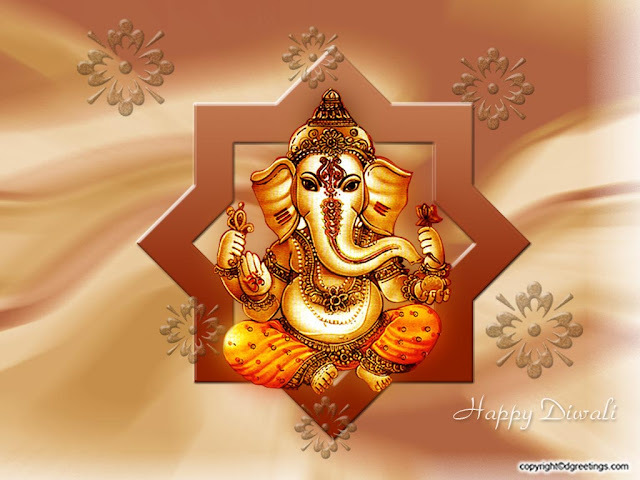 In the evening Lakshmi Puja is performed along with Ganesh Puja to please and seek blessings of the God and Goddess. Later in the evening kids and youngsters burst firecrackers to fill the sky with adorable colors and light. 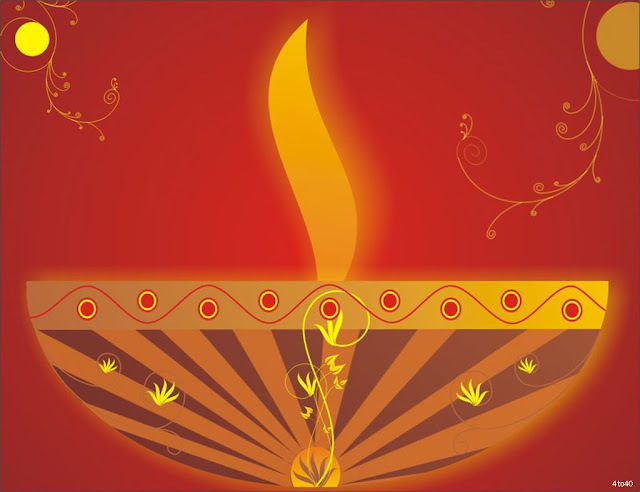 The fourth day of the Diwali is commonly known as the Hindu New Year. It is said that as the Indians lit the diyas on the Amavasya night, the diyas illuminate the darkness and welcome a bright new year. This day has many legends associated with it. At large, this day is associated with Gowardhan Puja. Gokul, a small town in Uttar Pradesh is where Lord Krishna lived. The people there used to celebrate a festival to worship Lord Indra at the end of the monsoon season to express their gratitude for good rain. On a particular year, Lord Krishna stopped them from worshiping Lord Indra, instead he asked them to worship their fields and cattle as there are the ones who earns them their bread. There was a heavy down pour that year. People were scared thinking that this down pour is the result of Lord Indra’s Anger for not worshiping him. So to save the people of Gokul Lord Krishna lifted Govardhan Parvat on his little fingure and thus gave shelter to the Gokul residents. Since then this Day is celebrated in honour of Lord Krishna, The Gowardhandhari. A small hillock is made, depicting Gowardhan parvat and decorate it with flowers and light. The devotees worship the Gowardhan parvat and the Gowardhandhari. On this day as part of the Gowerdhan Parvat legend, people also offer “Annakoot” to Lord Krishna. The devotees cook 56 or 108 food delicacies. Make a mount of it for offering it to the Lord. They pray to save them from all the pains and trouble as Lord Krishna saved the “Gokul Vasi” from the heavy down pour. 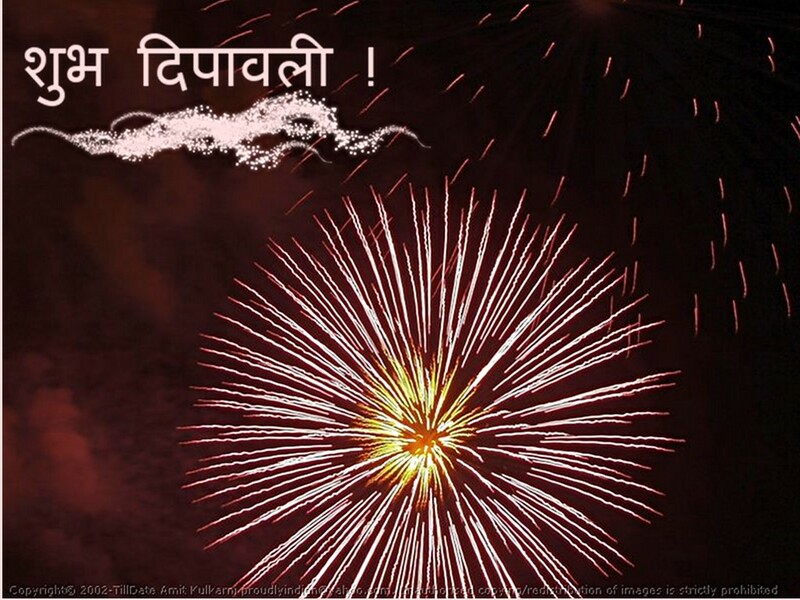 Gudi Padwa is celebrated on this fourth day of Diwali. It’s a Marathi festival. Gudi Padwa celebrates love and devotion between husband and wife. The wife applies a tilak on forehead of her husband and prays for his long life. As a part of the Ritual, outside the door or the widow of the house, a decorated Gudhi is kept. It is a symbol of victory and happiness. The newly wed daughter along with her husband is invited for a meal at her parents place on Gudi Padwa. 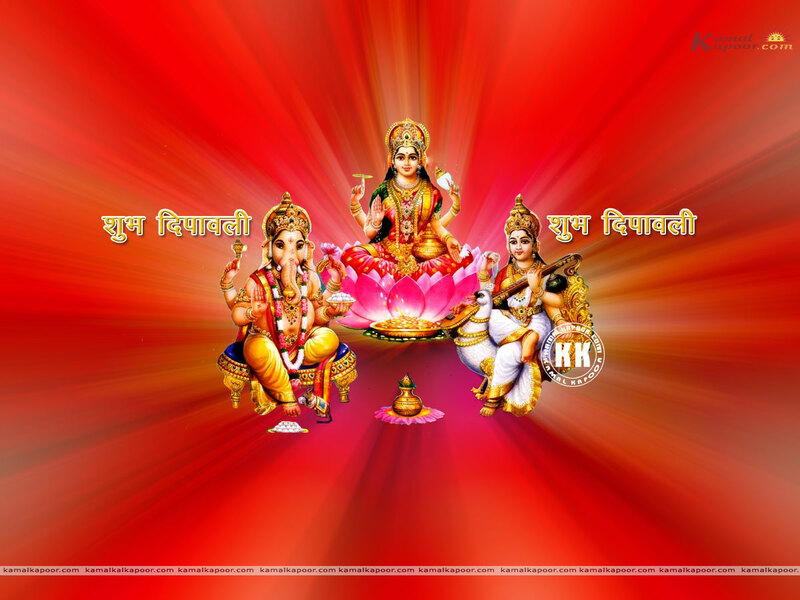 The Hindu New Year is also celebrated as “Kartik Shuddh Padwa” or “Bali Padyami” by the south Indians. It is believed that King Bali come to visit the people on earth from Patalaloka (netherworld) as per boon given by Lord Vishnu, on this day. From this Day the Vikram Samvat begins. It is said that this day marks the Coronation of King Vikramaditya. The fifth day of Diwali got its name as it falls on the second day of full moon forthnight, “Dooj”. This day is very auspicious for every brother as on this day the sister applies a tilak on her brother’s forehead, performs an aarti, shares a meal with him and prays to save him from all the evils and seek blessings from God for his long life. This day is also addressed as “Bhai Phota” or “Bhai Biij”. Yamraj went to meet his twin sister Yami (Yamuna) on Bhai Dooj. They were meeting each other after a long separation. Yami warmly welcomed Yamraj, applied the tilak on his forehead and performed his aarti to pray for his long life. She cooked delicious meal and shared it with Yamraj. Yamraj was so much pleased by his sister’s affection that he declared that if a brother receives a tilak, aarti and a meal from his sister on this sacred day, he would he saved from hurdles and hell. A legend about Bhai Phota is Lord Krishna after slaying the demon Narakasur, went to meet his sister Subhadra. The affectionate Subhadra greeted victorious Krishna by garlanding him and applying sacred tilak on his forehead. Another popular legend of Bhai Bij says after the nirvana of Lord Mahavir, his brother Raja Nandivardhan became extremely sad and depressed. With the assistance and affection of his sister Sudarshana, he was brought back to normal.